Emily Arrow may be a poor reader, but she's terrific in math and is also the fastest runner in her class. In October school gets even better when a newcomer from Florida, Dawn Tiffanie Bosco, joins the class and sits next to her. When Emily sees that Dawn's a better reader and a faster runner, she tries to accept it with grace. 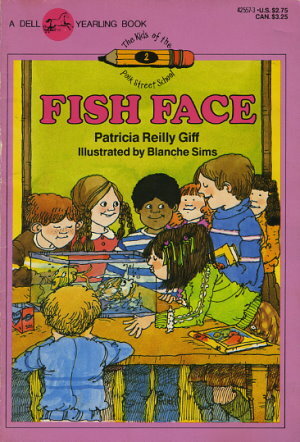 Emily is still sure it will be fun to have a new friend to show her "fish face" to and share secrets with. But then Emily discovers something awful--Dawn's a thief! And to make matters worse, no one will believe Emily.